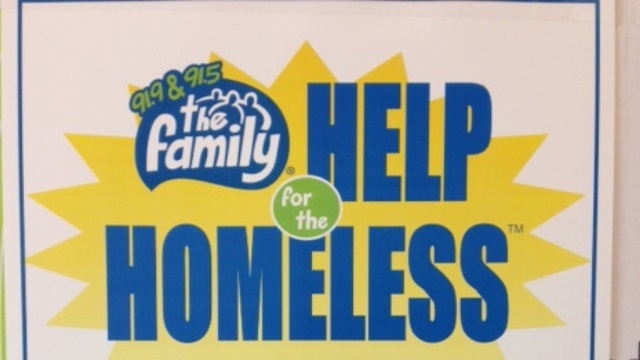 GRAND CHUTE, WI - The Wisconsin Timber Rattlers will take donations for 91.9 & 91.5 The Family's Help for the Homeless Hygiene Drive at Neuroscience Group Field at Fox Cities Stadium on Saturday, March 7 from 10am to 3pm. The drive is to help stock the shelves of 79 homeless and crisis programs in 13 Wisconsin communities in our listening areas. The goal of Help for the Homeless is to supply a year's worth of product to each agency. Individual game tickets for the 2015 season and Whiffer's Birthday party will also be going on at the stadium from 10:00 am to 3:00 pm on Saturday, March 7. Fans who bring a donation to the Help for the Homeless Hygiene Drive to the event will receive an ice cream treat from Dairy Queen while supplies last. If you cannot make it to the event at the ballpark on March 7, donations to the drive can be dropped off at boxes in area Shopko stores, Festival Foods, and Walgreen's now through March 15. All donations will remain in the community with area homeless and crisis programs. The Timber Rattlers will begin their 21st season of baseball on April 9, 2015 with a road game. Wisconsin's home opener is Sunday, April 12 at 4:05 pm against the Peoria Chiefs. Full season, partial season, and group ticket packages are currently available for the 2015 season. Tickets packages are available online, over the phone at (920) 733-4152 or (800) WI-TIMBER and in person. Groups of 20 or more may order tickets over the phone or in person. The Neuroscience Group Field at Fox Cities Stadium Box Office is open from 9:00 am until 5:00 pm Monday through Friday. Saturday hours of 10:00 am to 3:00 pm for the Box Office begin on March 7.